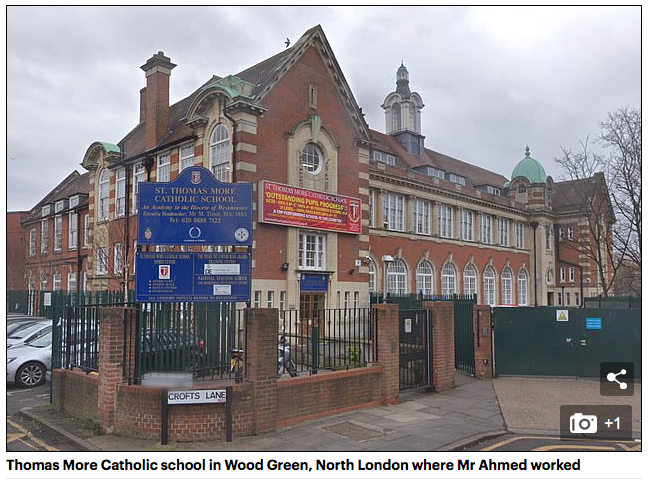 ‘Affirmative Action’ on steroids: MUSLIM ‘teacher’ at elite CATHOLIC London secondary school is suspended after it’s discovered he virtually CANNOT read or write. 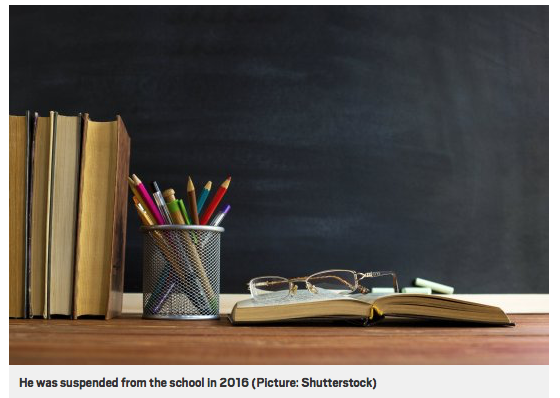 The scandal emerged when Faisal Ahmed sued the school for constructive dismissal and disability discrimination after he quit in anger. Daily Mail (h/t Terry D) Faisal Ahmed was passed fit to teach by an elite taxpayer-funded training scheme even though he had ‘extreme difficulty with handwriting’, reading problems and ‘issues understanding written tests.’ Just days into his new job at St Thomas More Catholic school in leafy Wood Green, north London he was summoned by the headmaster and suspended, reported The Sun. Ex-City worker Mr Ahmed was going to teach vital GCSE and A-Level lessons to teenagers. Ahmed suffers from dyspraxia, a condition that affects co-ordination, and he told the headmaster Mark Rowland that he was unable to write for ‘more than a couple of minutes’ as his condition caused him too much pain. Papers obtained by the Sun showed that Mr Ahmed lost his legal battle and subsequent appeal over the 2016 scandal, with the London Central Employment and Tribunal throwing out his claims last month. ‘Teach First’ admitted that they did not inform the school of Mr Ahmed’s condition. 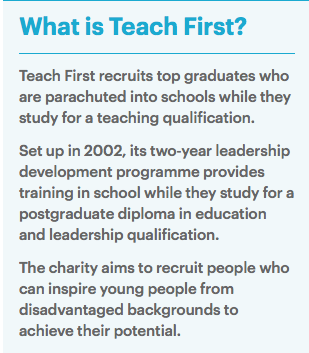 A Teach First spokesman told MailOnline: ‘We hold the highest standards for every candidate who joins our teacher training programme. Every trainee who is offered a place must have a degree, expertise in the subject they teach and GCSEs in maths and English. ‘They also will have passed the professional skills tests for prospective teachers in numeracy and literacy – which is standard for all routes into teaching. The real mystery here is what made them think that he was a good pick as vice principal? If you can’t read and write, I would have imagined that would disqualify you from most jobs apart from menial work. Obviously this is another college admission sort of scandal, just with different programs and such. Teach First is possibly accepting bribes to give people accreditation. Schools should engage with independent competency testing in addition to existing hiring policies. Dude can’t read or write or whatever, and was accredited? You don’t have to be a professor or math whiz to know when one plus one does not add up to two. And who’s the apparently mentally deranged person whom hired a muslim to teach at a catholic school? What planet are these people from? Can we get some comparative stats for muslims converting to christianity vs muslims working at christian establishments? Thank you. Dude, get the store back up and running, want more t shirts and bumper stickers and activist stickers with your website on it. Awesome print t shirt and all weather bumper stickers at home machines are relatively cheap like only a few hundred dollars for small scale one at a time machines, and they’re available like everywhere online these days. You could also sell other non controversial materials on the side and nobody would even know they’re actually supporting bare naked. A million ways to succeed online these days. Wish you all the best. Thank you. Mr. Y, the BNI store closed here because the supplier did not live up to his deal and I lost money on it. Knew of a Persian woman who could not read the Koran yet she on a daily bases opened that book and turned the pages as if she was reading it, being she was the first wife her husband sent her to America 1960’s along with her 6 children all now citizens, what’s sad about this whole story… none of her children taught her to read or paid someone to teach her. No one, why would they? She’s only a muslim woman, after all. A lot of Muslums have difficulty reading & writing due to centuries of inbreeding. If they are put in teaching positions, the students will be dumbed down to Muslum level. Somebody call Canada’s Tru dope!!! I am sure he could use a right hand man and Mr. Ahmed sounds just right!!! 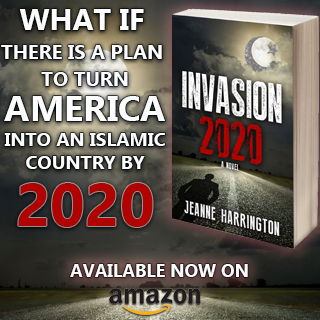 It’s obvious there are people who want Islam to be successful wherever they are…….Never mind progress and civilisation !….. But no-one is allowed to challenge him or its an ……ism add your own beginning as there is now an ism excuse for everyone. 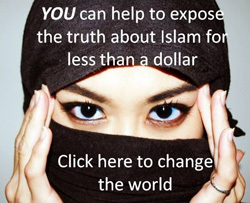 Happening all the time; all over the western world, moslems are being promoted to positions of power by the atrocious, masochistic, traitorous so-called ‘leaders’ of the western world. You got that right! Here in America we promote…”no child left behind” then we send them off to college to be indoctrinated instead of educated. When will we foolish Americans learn? White English not allowed because it would be racist and Islamophobic to give any kind of help to white English? mohammed has returned! maybe the ‘teacher’ had instructions beamed into his head by Gabriel!